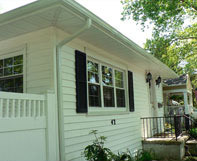 The Gutter Guys is a full service rain gutter company that has been in business since 1988. Whether our customers need a complete seamless gutter system, a 1 foot section of gutter above a door, repairs, gutter guard or just a gutter cleaning, they can depend on The Gutter Guys. 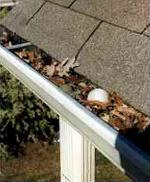 We are among the oldest and certainly the most respected gutter companies in the United States. Our products are the highest quality available and are installed by experienced, courteous, well-trained experts. We offer a unique franchise business opportunity in a specialized industry. Our franchises professionally install, repair, maintain and clean residential and commercial rain-gutter systems. We are seeking hard-working, self-starting individuals wanting an opportunity for excellent earnings and continued, long-term growth. You can operate your own, independent business, without having to "go it alone." The Gutter Guys offer you a low-cost franchise opportunity and will provide all required equipment, comprehensive training, and continued on-going marketing and business operating support. Qualified applicants can obtain financing assistance and equipment lease arrangements. We are eager to help you get started as part of The Gutter Guys family of franchises. Why The Gutter Guys Franchise? Is it because the products are the most glamorous in the world? Hardly. How about because you have always been fascinated with rain gutters? Not likely. Maybe it is because The Gutter Guys have proven a permanent and renewable market for the sales, installation, maintenance and repair of residential and commercial rain gutters that will support a long-term and profitable franchise business. That's more like it. We have proven the existence of a profitable market by operating a successful and growing retail operation for over 8 years. Some people don't think this is glamorous, but we do. We know the market. We know what inventory you should carry. We will provide you with the training and knowledge to permit you to operate a profitable franchise. But, it's still up to your talent and abilities to be successful. Business Set-up and Organization: We can assist you in the selection of your choice of business entity and can direct you to the proper sources for the formation of the franchise entity of your choice. Location Modification: We'll assist, by way of drawings and personal assistance, in modifying your selected franchise location into a functional retail operation. It will be our pleasure to give you the benefit of our organizational and operational experience. Management Training: We'll provide you with a full 100 hours of intensive and comprehensive classroom and "on the job" training at our company headquarters. This training will include everything you'll need to know to make your business a success. Advertising and Marketing Strategy: You don't have to reinvent the wheel. We have already figured out who your customers are, how to reach them, and the way to convince them to come to you with their business. We'll help you every step of the way! Cost Cutting Purchasing Power: Our high volume system lets you buy materials at lower than usual prices. This naturally allows for higher profits. Gain the advantage of our years of experience and let us pass our great savings on to you. You'll become part of our team of highly skilled craftsmen who have installed over five million feet of seamless gutters and downspouts. You will be able to tell your customers that you can provide 25 colors of high quality and durable product backed by strictest quality control systems, proven equipment and materials and well-trained, highly skilled craftsmen. To learn more about the Gutter Guys home improvement franchise opportunity, simply complete the form below.